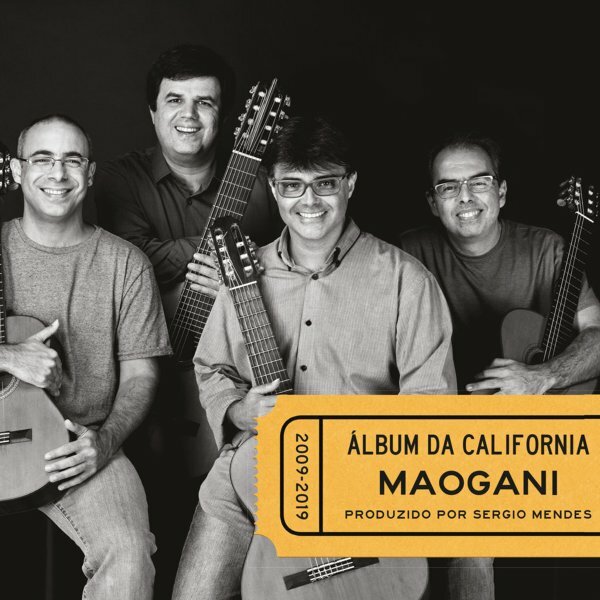 A beautiful album from this Brazilian guitar quartet – one that borrows songs equally from bossa nova and American repertoire – and which features the legendary Sergio Mendes helping them out in the studio! Given the instrumentation, though, these guys hardly need Sergio's help – as they work with a great balance of rhythm and melody, single notes and chords – performed on two 8-string guitars, one 7-string guitar, and a conventional version of the instrument – all acoustic, and occasionally augmented by a bit of percussion, including work by Airto on one track! The sound is really lovely – an evolution of older Brazilian acoustic modes, but still very tied to its roots – and titles include a cool remake of the Joao Donato tune "Bananeira", plus "Cravo E Canela", "I Got Rhythm/Surfboard", "Easy To Love", "Cai Dentro", "Folhas Mortas", "Days Of Wine & Roses", and "Frevo Rasgado". © 1996-2019, Dusty Groove, Inc.